It’s no secret … it feels great to give and receive smiles. But, did you know a good smile can improve your overall health too? That’s right! Studies show that good dental health can lessen your risk of developing heart disease, respiratory illness and cognitive disorders. Check-up—An exam that is typically performed every 6 to 9 months to check for dental decay or other oral health issues. Cleaning—Also known as scaling, a dental cleaning removes hard deposits such as tartar from the tooth’s surface. Digital X-rays—These are pictures that allow the dentist to see what’s going on inside your teeth. They can identify issues that are typically not visible to the dentist’s eye such as decay or bone loss. Digital x-rays are taken with a sensor and generated on the computer. These x-rays use over 60% less radiation than conventional dental x-rays. 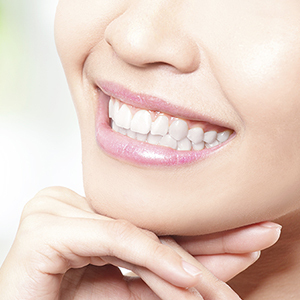 Polish—Your teeth will look younger and healthier with dental polishing. This process uses a soft rubber cup and paste to remove plaque and stains. Fluoride—This is a natural mineral used to strengthen enamel and prevent cavities. Foam trays containing fluoride are put on your teeth for one minute. Pit and Fissure Sealants—These hard, resin-like sealants help prevent bacteria from causing cavities. The material is bonded into deep grooves on the biting surface of your molars. Complete Oral Exam—This comprehensive head and neck exam is performed to detect decay, bone loss and gum disease. This exam is more extensive than regular check-ups and should be completed every 3 to 5 years and at your initial visit to our office. This is the dental equivalent to a medical physical. Oral Cancer Screening—The oral cancer screening is an exam performed by the dental hygienist and dentist. Soft tissue is examined to detect any changes in your mouth. If you’re looking for dentists in Thunder Bay that cover all the bases in oral health, Grandview Family Dental’s got your smile covered.